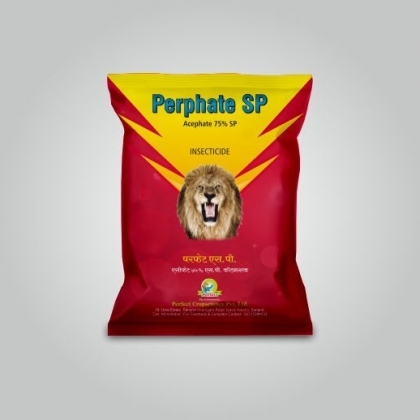 Perphate SP- Perfect Cropscience Pvt. Ltd. 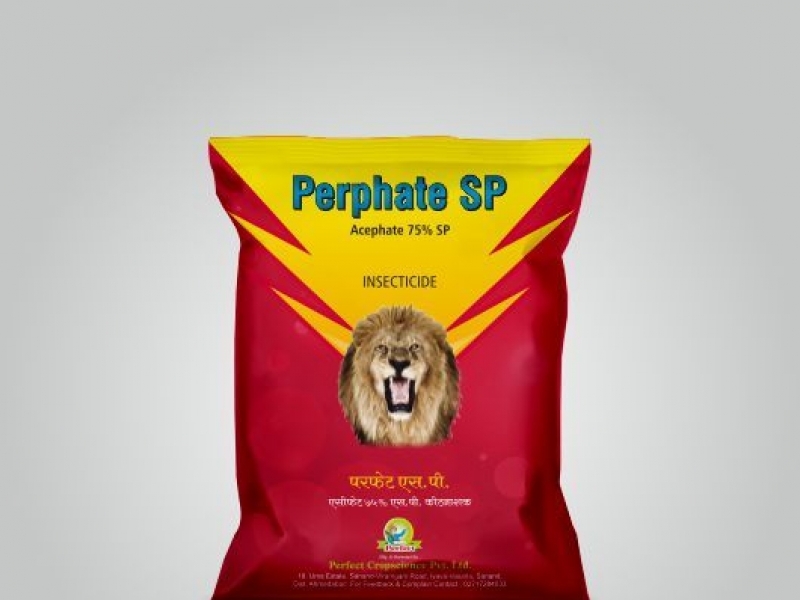 Advantages: It is recommended to control Aphid, Jassid and Bollworms of cotton, Aphid of sunflower, stem borer, Leaf folder, Plant Hopper and Green Leaf Hopper of Rice & protect from viral disease, usually transmitted by sucking pest. Dosage: 400 gm to 800 gm per hector every 15 days. Available Packing: 100 gm, 250 gm, 500 gm & 1 Kg.